The presence of human pathogens in water is never a good idea. One way to deal with them is by introducing seagrass meadows to the area. Not only would they be able to improve water quality, but they can also sustain the rapid increase of aquaculture during global food shortages. 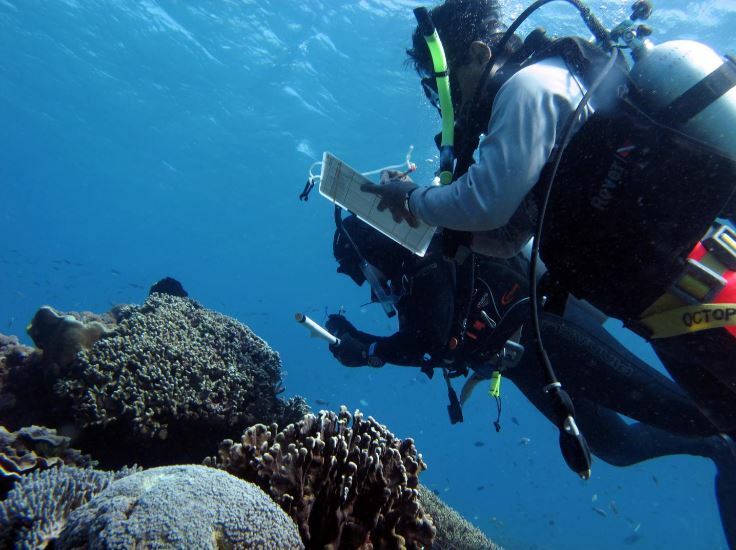 Dr Joleah Lamb and Dr Syafyudin Yusuf surveying corals on Indonesian reefs. These were the findings of a study published in the recent issue of the Science journal. These findings highlight the importance of seagrass ecosystems to the health of humans and other organisms; not only could they help with improving water quality in ever more populated coastal zones, they could also play a key role in sustaining the rapid increase of aquaculture in the face of global food shortages. Working in waters off four Indonesian islands, Lamb and his colleagues assessed the influence of seagrass on marine microbial pathogens and disease - an effort in part inspired by many of their team first falling ill at that location. In shorewaters, they discovered that the presence of the bacteria Enterococcus exceeded the U.S. EPA recommended human health risk exposure level by 10-fold. However, in the presence of seagrass, their levels were reduced three-fold. Moveover, further studies by the research team showed that the abundance of several marine fish and invertebrate pathogens was lower by 50 percent when seagrass was present. In addition, after conducting field surveys of more than 8,000 reef-building corals adjacent to sea grass meadows, the team discovered two-fold reductions in disease, compared to those corals without seagrass nearby.